The container shipping line Hapag-Lloyd reported net loss of 42.8 million EUR in Q1 2016 due to difficult market conditions and low freight rates. 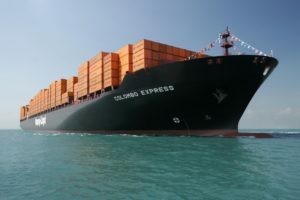 The traffic volume in the first three months of the year increased by 2.1% yoy to 1.81 million TEU, but the average freight rate per container dropped by 20% yoy to 1,067 USD per TEU, which led to a decrease in revenue by 16% yoy to 1.93 billion EUR. The bad market conditions and record low freight rates seriously affected the business of Hapag-Lloyd and EBITDA dropped by 56.5% yoy to 123.4 million EUR. The operating revenue (EBIT) of the company amounted to 4.8 million EUR, compared with 174.3 million EUR an year ago. Despite the poor finance results of the first quarter, Hapag-Lloyd has confirmed the forecast for moderate growth in EBITDA and a significant increase in EBIT for 2016. Hapag-Lloyd is the sixth largest container carrier in the world with market share of 4.5% with capacity of 930,000 TEU. The priority markets are the Atlantic, Latin America and the Inter-services. 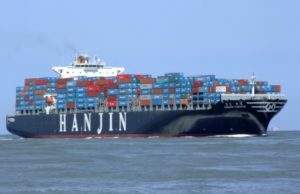 In December 2014 the carrier has acquired the container business Chilean CSAV, but low freight rates and overcapacity on the market seriously affect the finance statement of the carrier.